Panaji, September 29, 2018 … Milestone achievements of Goa State Biodiversity Board (GSBB) during the tenure of present Board under the Chairmanship of Chief Minister Shri. Manohar Parrikar, are as follows. The Goa State is the second State in India to achieve 100% Biodiversity Management Committees (BMCs) constitution at Village Panchayat level. Further, for the first time three Access and Benefit Sharing (ABS) agreements of Goa State were signed on September 7, 2018 in the presence of the Thematic Expert Committee on ABS after almost over a year of commencement of procedure, including identifying the potential ABS signatories in Goa State, series of meetings and consultations. The details of the ABS signatories are as follows: M/s Krishna Plantations Pvt. Ltd., Nanu House, V.V. Road, Margao for the product ‘Kalparas’(Coconut sap), Tanshikar Spice Farms, Netravali, Sanguem, Goa, for the product ‘Bee Pollen’ and M/s. Raika and Company, for the product ‘Beeswax and Propolis’. Similarly based on the recommendations of ABS committee, the lowest ABS fee has been charged which is 0.1% of ex factory sales per The Biological Diversity Act, 2002 and Rules, 2004. 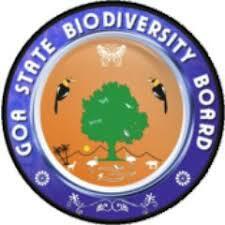 Similarly GSBB is the first State Board to provide the ABS signatories with ‘Biodiversity Mark’. This mark is to be displayed on the products for which ABS agreement has been signed. The Biodiversity Mark represents commitment of the ABS signatories towards sustainable conservation efforts carried out for the particular bioresource used. This will also encourage other bioresource users to sign ABS agreements with GSBB, whereby more contributions will be added to the Biodiversity funds leading to better conservation of the concerned bioresources.